Are you ready to hire your first virtual assistant? How do you know? CAN you know? About a two months ago we announced that we were hiring. We had two open positions and I was so excited to find the right fit. Before we knew it – we had over 2,500 applications for the two positions we had available. Talk about a hiring NIGHTMARE. I mean – exciting that we had so many people to choose from, but INSANE how many applications we (aka MeLisa) had to go through! If it weren’t for my amazing COO, MeLisa, I don’t believe we would have ever gotten through them. Want to know the secret for how we got through the applications? Not only that… but how we found the PERFECT fit for our team? I’m going to break it ALL down for you in this super-epic hiring post: How to HIRE your first Virtual Assistant. 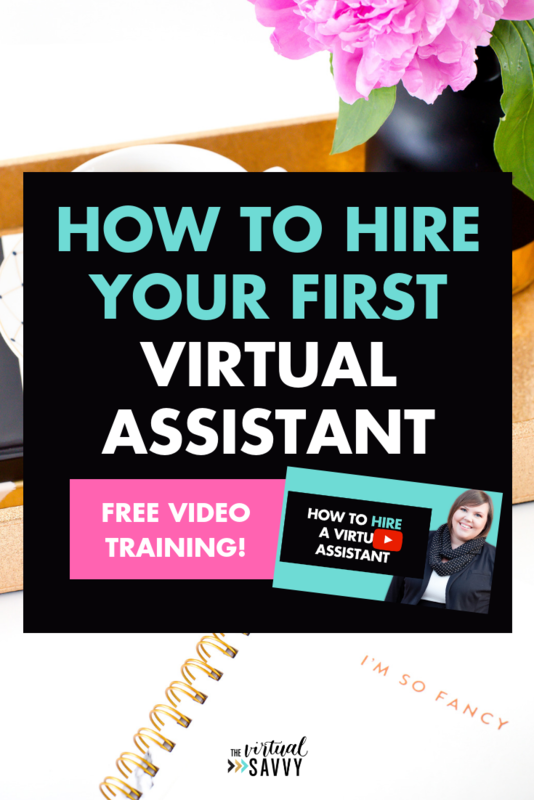 Today, I’m showing you how to hire a virtual assistant. 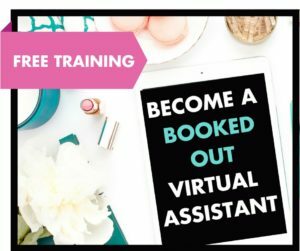 While I usually stick to training people how to be virtual assistants, this post is for the people who are running their own business and are ready to hire their first virtual assistant. Step 1: Do a time study. You became an entrepreneur so you wouldn’t have to clock in and out of work, amiright?! However, I recommend doing a one week time study so you can really see where your time is going. I think you’ll be surprised! 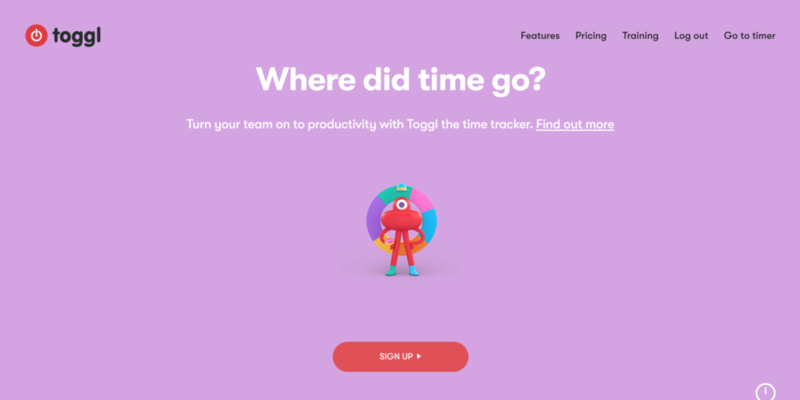 How it works: I use an online tool (like Toggl) and track all of my working hours for one whole week. Where is my time really going? What tasks am I doing that I could outsource? Make a list of the above answers and anything else that you know you want a VA to be doing to help you out in your business. This is a great starting point for knowing what tasks you’ll need to outsource. Step 2: Know your budget. I recommend having a pretty solid idea of how much you can actually afford to pay somebody on an ongoing monthly basis for your business. Virtual Assistants really vary in range with their prices. Somebody who is working overseas might charge $4-$5 an hour. The Virtual Assistants I train are generally around $20-$30 per hour starting as general admin Virtual Assistants. That rate can go up if you need somebody for highly specialized skills or if you want a person to be really well trained in a certain system. Keep that in mind whenever you’re creating your budget for your new VA. 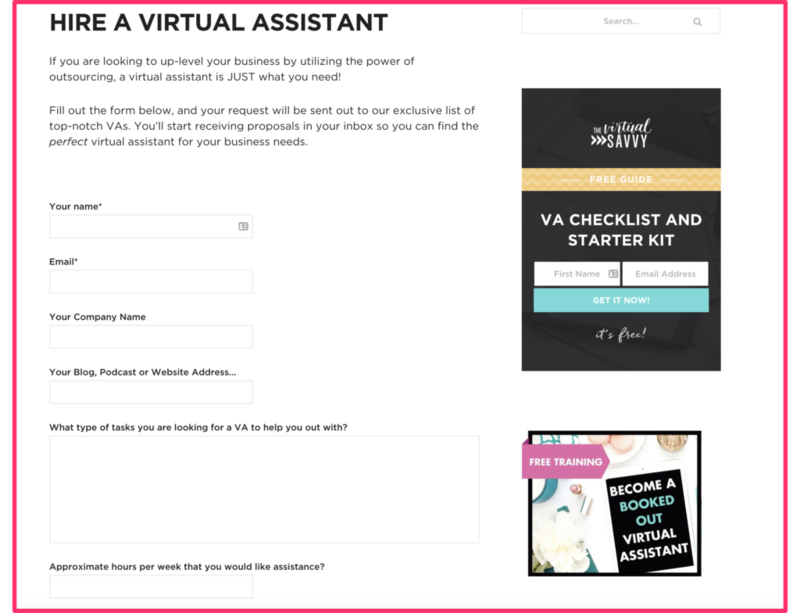 Step 3: Start looking for your Virtual Assistant. Start looking with referrals. If there are other business owners you know who talk about how much they love their VA, this is the best way to find somebody who you know is going to do a really good job. Ask your friends! They may not know a Virtual Assistant per se, but they may know somebody with great work ethic they are willing to vouch for. Your current audience. Tell the people who already know you and love you that you’re hiring. Your perfect fit may already be on your email list or follow you on a social media platform. Try a site like Upwork or Fiverr. These are good sites for posting specific jobs you need done. You can also find someone who can help you with ongoing work. PRO TIP: I recommend choosing someone with the three dollar signs ($$$) because it’s worth paying a little bit more for somebody who is going to do a really great job. I recommend doing that whenever you post a job on a posting site. Use our hiring form. Post your jobs for free and find awesome talent within our community! We have tens of thousands of Virtual Assistants in our community that are super qualified and they are AWESOME. Post a free job posting with this link. Step 4: Find a great fit. After putting this job post out into the world, you may start getting a little bit bombarded with emails and proposal. Don’t fret! It’s usually pretty easy to pick out the people who are going to do a standout job. I personally look for people who go above and beyond. They might have a little less experience. They might not know ALL of the software systems you’re specifically looking for. BUT if they’re just the type of person that goes above and beyond, keep them! I look for people who included a video or additional material customized to my business that I didn’t ask for – that is the quality that I always seek. Excellence, attention to detail, and the willingness to go above and beyond — that’s not usually something that can just be learned. However, if they have all of that, I usually can teach them some software program that they don’t know. As you’re going through the applications, definitely look for the people that have the skills, but also look for the people that just stand out. You want the kind of person who will fit seamlessly with the company culture and go above and beyond whenever they’re helping you with your tasks. Narrow down your top 3-5 ideal candidates, and interview all of them. There might be one person who really emerges as the perfect person for your business. I still recommend interviewing a few people so that you’re really, really sure you’ve made the right choice when it comes time to hire. Step 6: Test your working relationship. I’ll admit it… I haven’t always done this. Whenever I found someone who I thought would be an awesome addition to my team, I would quickly say, “YES, please. How can I hire you?” (sometimes without an interview or really seeing their quality of work). I practice and HIGHLY recommend doing something different now. Whenever you’re hiring someone who’s going to be a permanent ongoing member of your team, I recommend doing a test project. This test project can be anything. Obviously it should be somewhat related to the work they would be doing, but ask them to do a one-time test project. I like to pay for these projects because I want this project to be worth their time, and I want to value and honor the top people (or person) I’m interviewing. This test project is usually something I really DO need done in my business. And this is a great part of the process because you can see the actual quality of their work. Even if they give an awesome impression in an interview, maybe the work that they do isn’t really up to your standards or what you were hoping, or maybe you didn’t like the way they communicated with you during the project. I recommend doing a paid test project as your first step toward hiring your Virtual Assistant. After you’ve done the test project, you’ll most likely say “Yes, this is definitely the person I want to work with.” At this point, I still wouldn’t recommend signing a really long, ongoing contract. I would first recommend a 30 day trial – this could either be a contract or something you just negotiate first between the two of you. Ideally, you say, “Let’s work together; I’m in. I hired you. I’m going to pursue this working relationship like we’re doing this forever, but let’s work together for 30 days and meet again.” At 30 days, we can both ask each other and answer honestly — is this relationship working? On occasion, it’s not that the quality of work is bad. Or it’s not that the client has done anything wrong. Sometimes working relationships just don’t work. Sometimes personalities just don’t pair well, but that’s not something you can necessarily know until you’re 30 days into the relationship. Are we both still happy and want to continue in this relationship further? If the answer from both parties is a resounding YES, then sign the long-term contract. You have a dream Virtual Assistant. I know you are so excited to be working together with them. Your business will thank you, too. At this point, you need to finish the hiring process well by communicating well. This is an ongoing process. I highly recommend having a weekly meeting to help facilitate and foster good communication between you and your new Virtual Assistant. A video meeting (using a tool like Zoom or Skype) goes a long way for communication. Have a weekly touchpoint, even if it’s just for 10-15 minutes, so you can give all of your tasks to your Virtual Assistant at the beginning of the week. You’re going to get a better quality of work if you’re not just throwing last minute things at your Virtual Assistant. Communicate expectations and deadlines really clearly and then give your Virtual Assistant ample time to complete his or her tasks. A lot of Virtual Assistants do have a rush fee for last-minute tasks. For better communication, have a set weekly meeting where you can communicate all of the tasks you want your Virtual Assistant to do, and then follow through. Ready to hire your first Virtual Assistant? Here’s a FREE form you can use to find your perfect fit! Have you hired a Virtual Assistant? What’s been holding you back? LOVE this! Thank you so much for spending a few minutes to check it out!